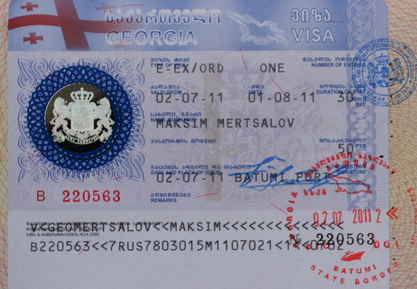 As a result of these activities, Garibashvili believes that Georgia will maintain the financial stability despite the fact that Georgian national currency Lari (GEL) continues to depreciate. Garibashvili also announced that the prices on products will not increase as well, especially when the prices on oil has been decreasing. Lari depreciation in Georgia is a part of global processes. Almost every national currency is depreciated worldwide and Georgian Lari is part of this general tendency. Floating exchange rate functions in Georgia and this is the most optimal regime for Georgian economy,” Garibashvili said. "If we compare Georgia to other countries, we will see that almost every national currency is depreciated and compared to them Lari maintains its stable positions. For example, Ukrainian Hryvnia has been depreciated in value against the US Dollar by 88 percent; Russian Ruble – by 83 percent; Belarusian Ruble – by 56 percent; Moldovan Leu – by 31 percent; Swedish Krona and Norwegian Krona – by 30 percent; Polish Zloty – by 27 percent; Hungarian Forint – by 24 percent; Euro – by 22 percent. As for Georgian Lari it is depreciated by 12 percent followed by the British Pound (GBP) which is depreciated by 10 percent,” Garibashvili said. "These indicators show that there is nothing to worry about as the whole world faces the same problem and especially when we see that the prices on products do not increase. Moreover, the Government works very efficiently to maintain the financial stability in the country,” he added.